December Menu Makers: Dried Plums - Neighbors Inc. 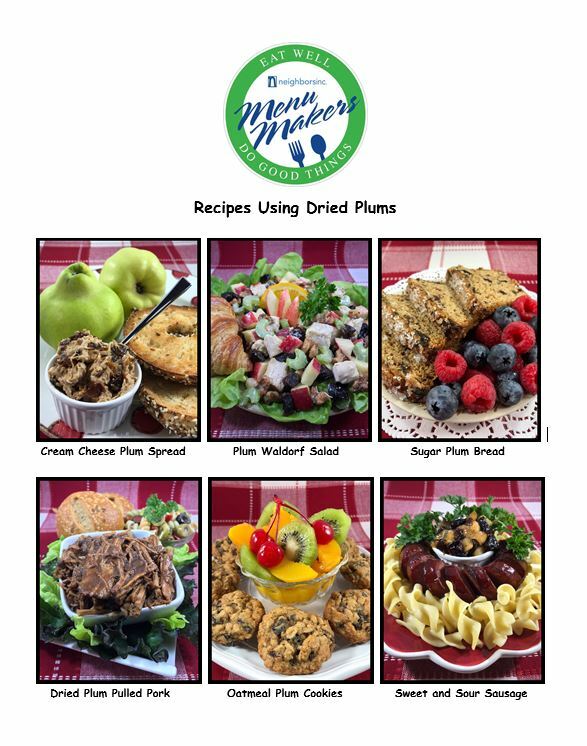 Check out the seasonal recipe features for this month’s Menu Makers item: dried plums. Whether you are entertaining or just relaxing at home, these recipes will get you in the holiday spirit! Click here for a complete list of dried plum recipes. Also, we’d like to wish the Menu Makers program at happy 4th anniversary!